It is well known that heat exchange between the hot plasma and solid wall of a magnetic fusion reactor (tokamak or stellarator) depends, to a great extent, on local disturbances of its magnetic configuration, which occur under the action of resonant magnetic perturbations. One possible reason for their development in tokamaks is splitting of an originally axisymmetric current channel into separate filaments. 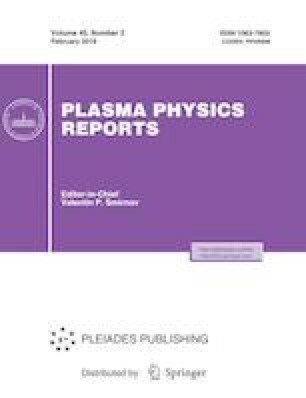 Among negative consequences of such filamentation, there are spatial modulations of the plasma density and temperature, which can considerably increase local heat loads on the tokamak intrachamber elements. This study draws attention to the fact that one of the most dangerous manifestations of current filamentation in tokamaks is the formation of so-called “positive” magnetic islands, which are clearly observed during the development of internal disruptions in the form of “hot spots”—local hot dense helical plasma structures formed in the central region of the plasma column just before the major disruption. An increase in the heating efficiency and improvement of plasma confinement within magnetic islands (which are, in fact, closed magnetic configurations) could explain energy balance in such structures. In this article, stability of such structures and possible sources of initial current disturbances initiating their formation are discussed as illustratively as possible on the basis the initial physical principles, which, in the author’s opinion, can be useful for the experimenters who start solving problems of plasma–wall heat exchange under real tokamak conditions. A number of the well-known experimental observations that can be explained in the framework of this concept are discussed. It is argued that the concept of positive magnetic islands makes it possible to interrelate the sequence of MHD events resulting in the tokamak major disruption. The author is grateful to V.I. Ilgisonis, V.P. Pustovitov, I.B. Semenov, V.A. Vershkov, and N.V. Ivanov for helpful discussions and constructive criticism. The author dedicates his article to the blessed memory of Aleksei Ivanovich Morosov, whose enthusiasm and firmness invariably delighted him. This work was supported by the Ministry of Science and Higher Education of the Russian Federation (project no. RFMEFI59917X0001).